This palette was an impulse purchase. 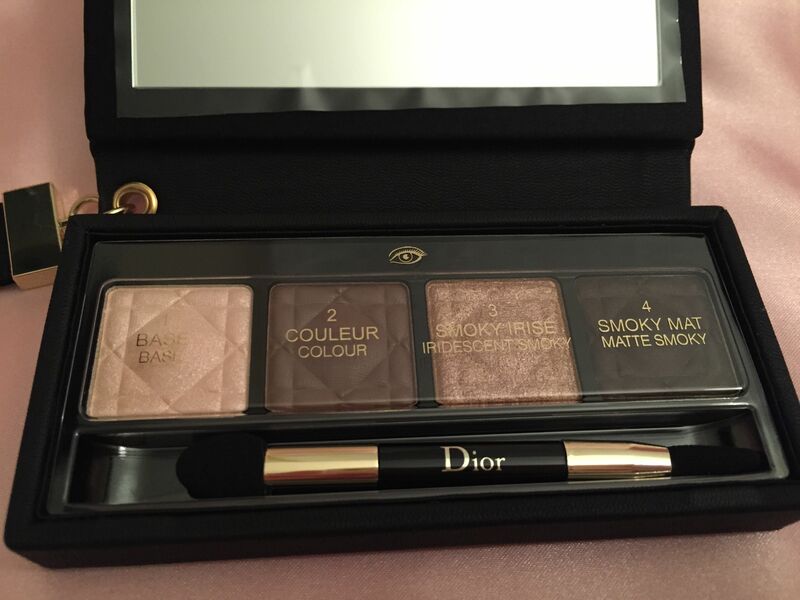 I was looking for a lipstick but then saw this palette and decided I had to buy it right away. It had all my favorite colors and looked very practical. 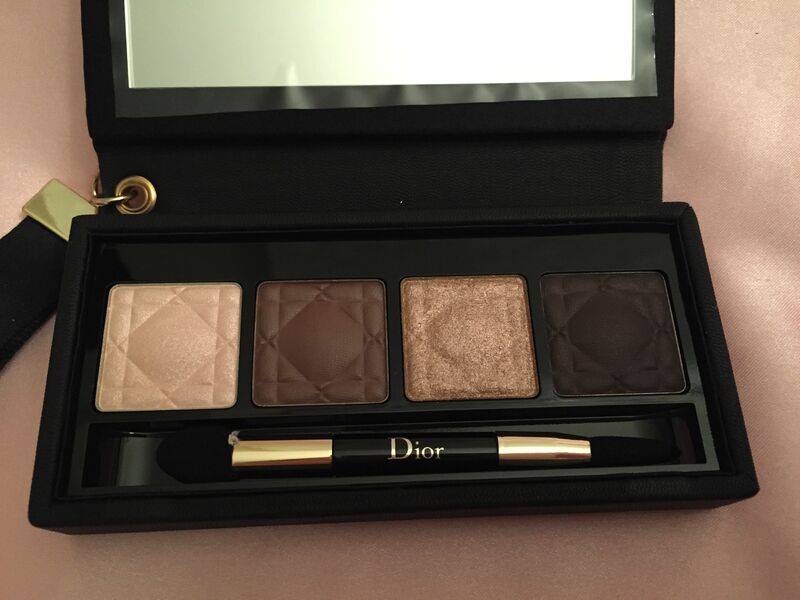 In my opinion, this is one of the most minimalistic (in both design and eye shadow colors) palettes by Dior. 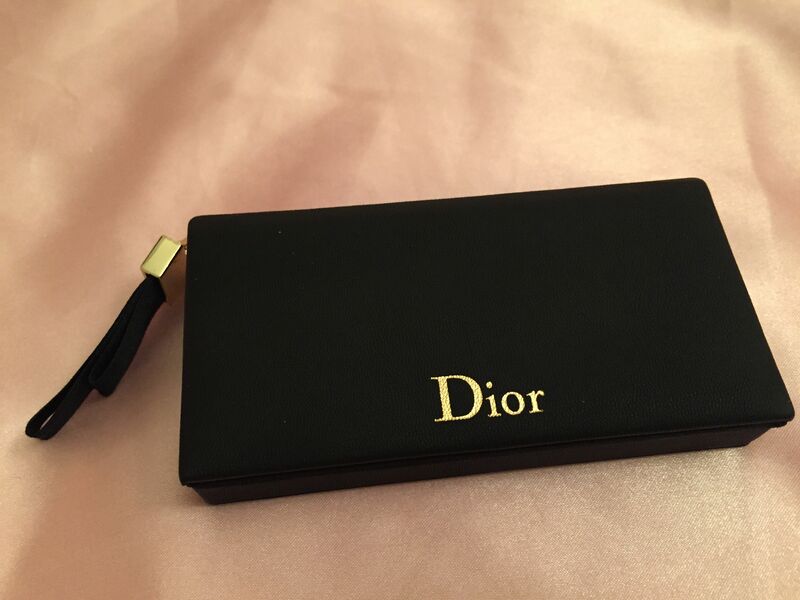 It has four eyeshadows; the case is made of black, leather-like material and doesn’t have any decoration except word ‘Dior’ in golden. 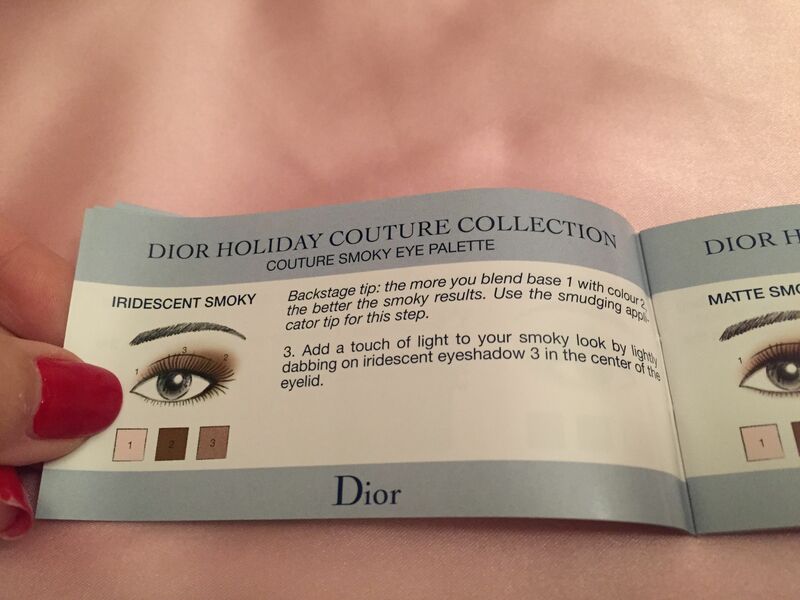 To be honest, I wouldn’t call a ‘holiday palette’ because it’s so simple and understated and just doesn’t look like a festive piece of makeup. 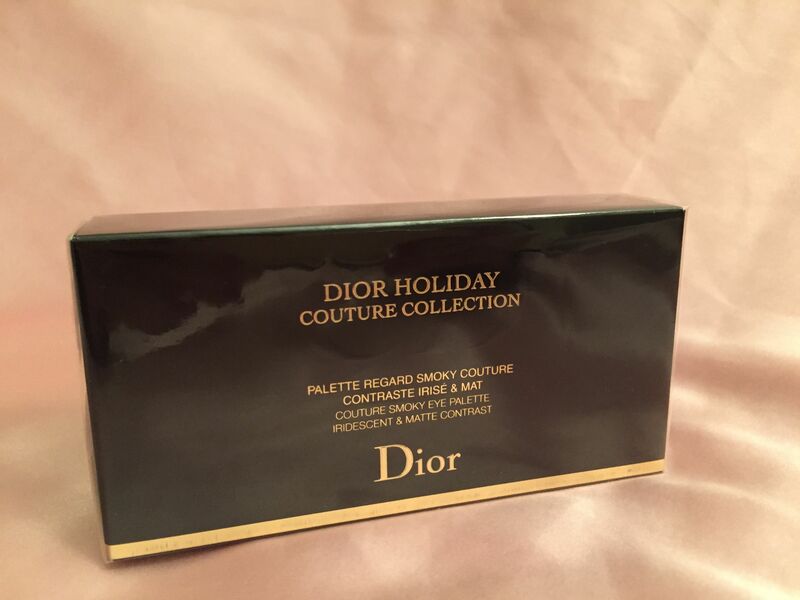 This palette is $55, a bit cheaper than usual 5-color Dior palettes but it it has only four colors. Matte Smoky – matte dark espresso color. 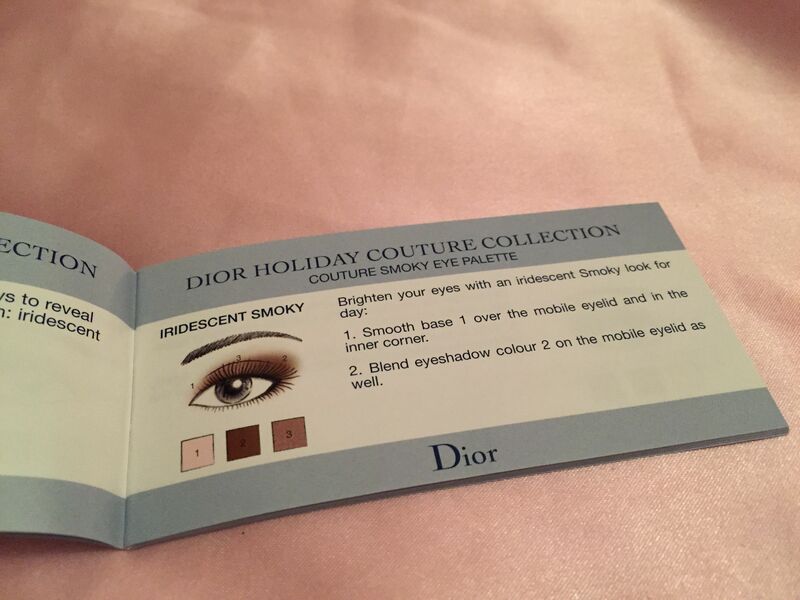 All four colors work well with each other and can be used separately for creating different looks: from a modest day look to a bold evening smoky eye image. 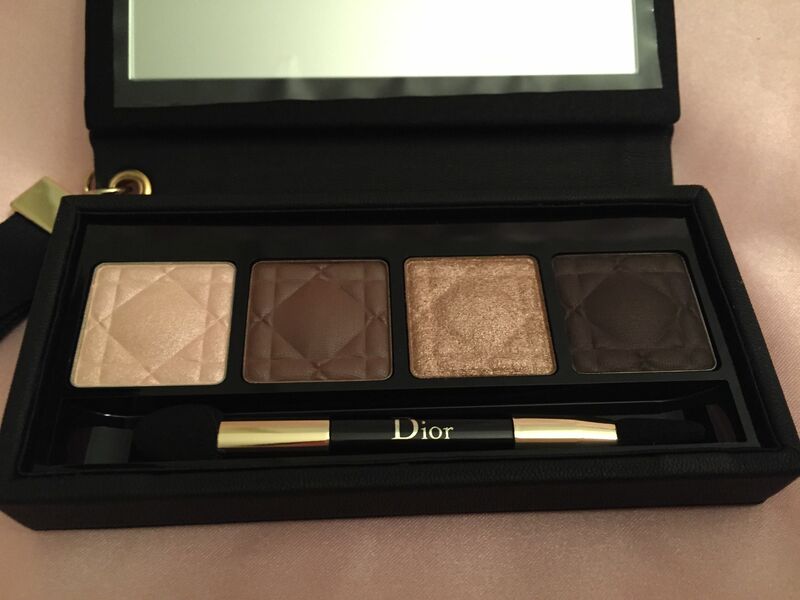 All four eyeshadows will work for almost any complexion and eye and hair color. I like this palette’s quality. The case is sturdy, so I can certainly take it for travel. 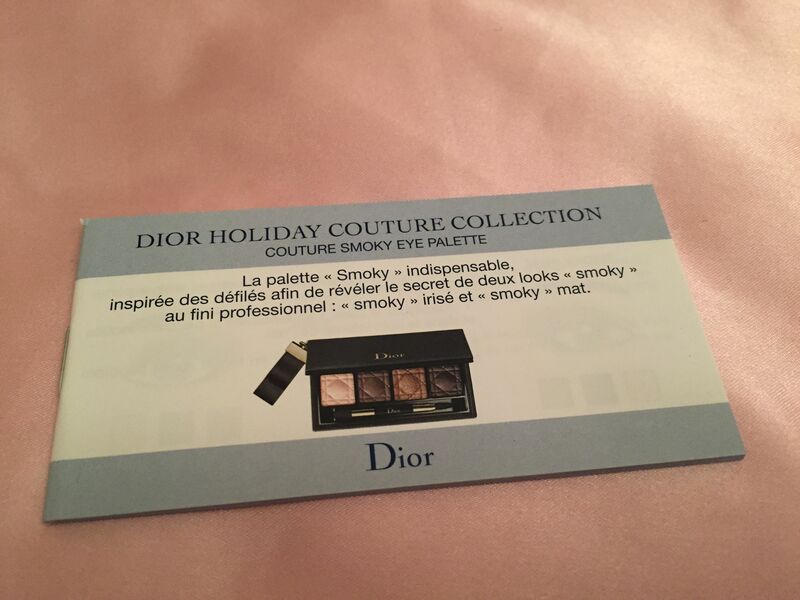 Eyeshadows don’t fall off, are highly pigmented and have a good staying power. 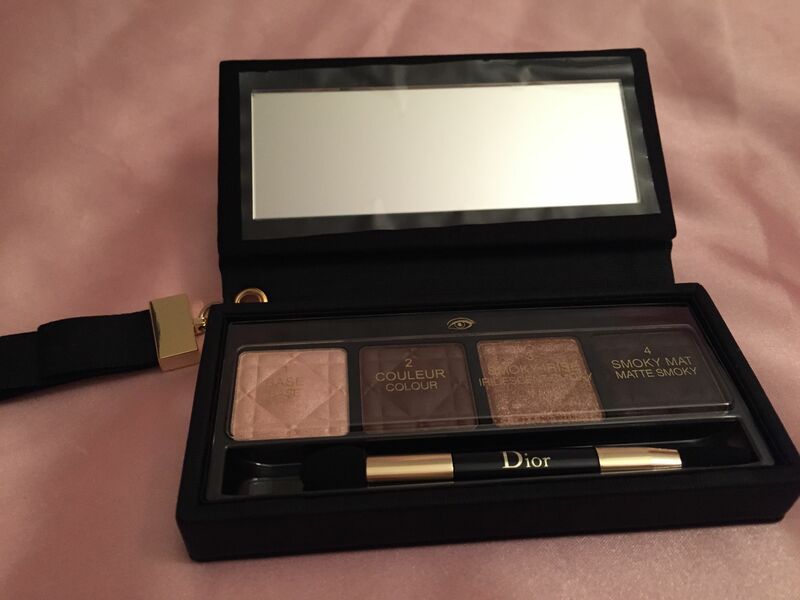 I often do my eye makeup using these eyeshadows and a dark brown eyeliner (Chanel or MUFE) – they work well together. 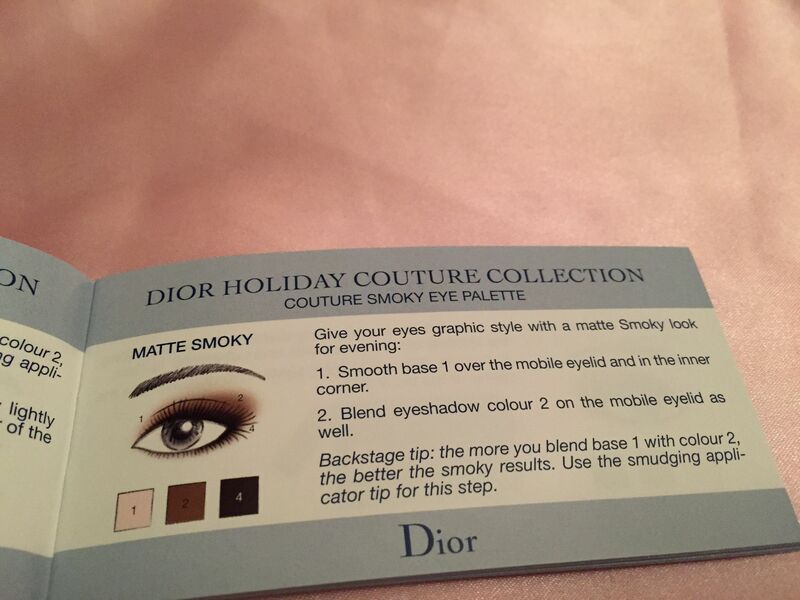 Below are 2 suggested (by Dior) ways of creating your smoky look with this palette. 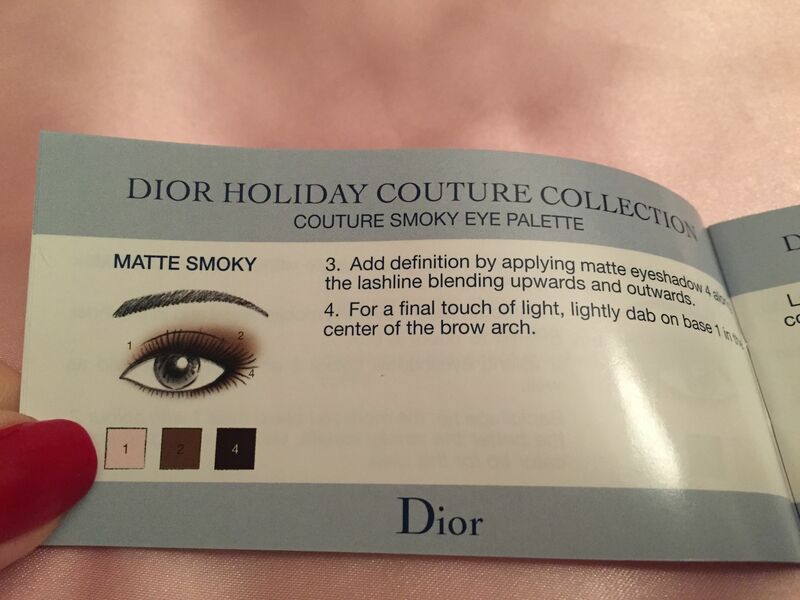 Add a touch of light to your smoky look by lightly dabbing on iridescent eyeshadow 3 in the center of the eyelid. For a final touch of light, lightly dab on base 1 in the center of the brow arch. I also posted pictures of these instructions. 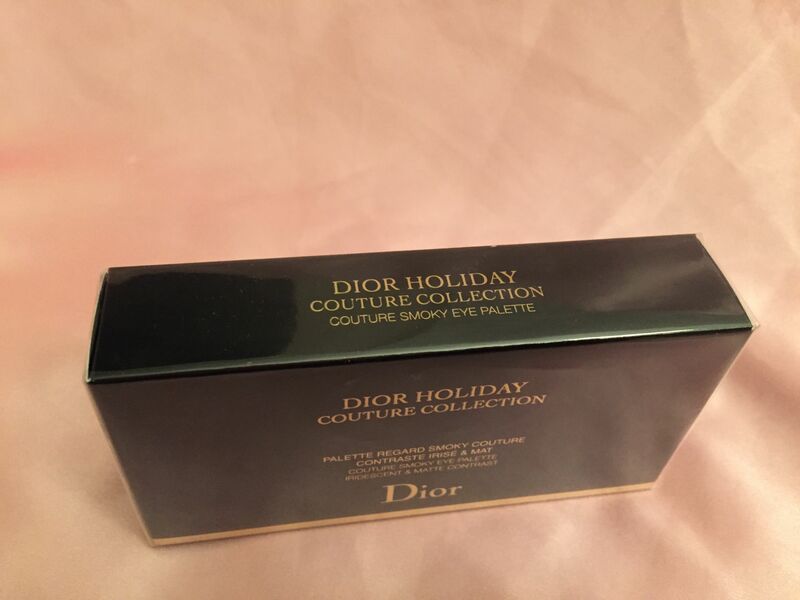 Overall, it is a good addition to my eye makeup collection and, although it’s not as charming and jolly as Guerlain’s holiday eye/blush palette, it is actually more practical for everyday use and travel. 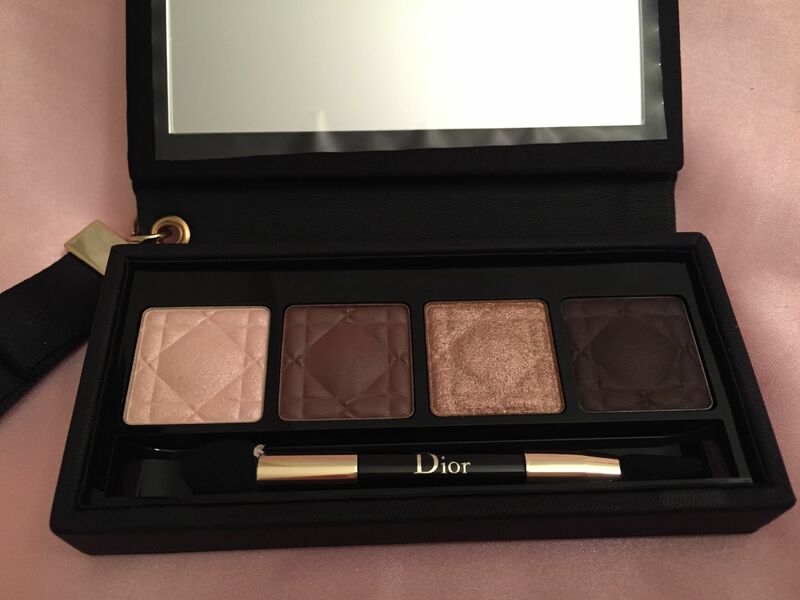 I like the fact that two out of four eyeshadows are matte – it makes the palette more versatile in the sense that you can use it for both day and evening makeup.